I can't believe it has been 2 years since I started this little blog...it feels like yesterday and 10 years ago all at the same time. 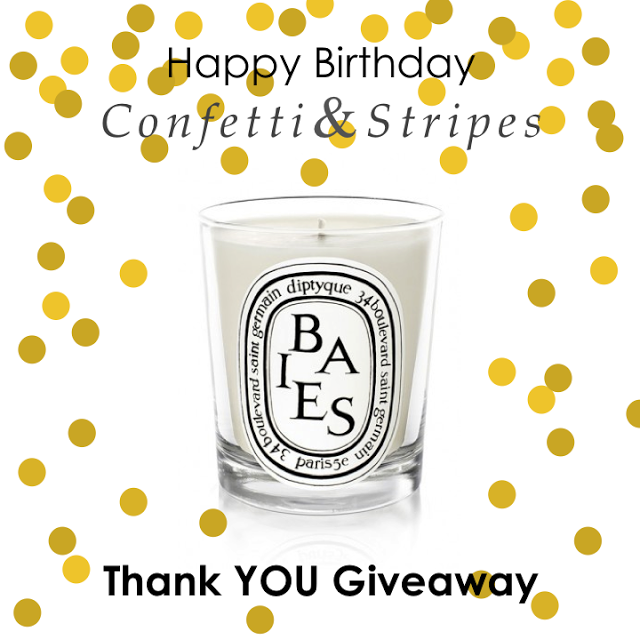 So to celebrate and as a big thank you to YOU its my favorite things giveaway week! 2. repost/ regram the above image with the #confettiandstripesturns2 and tag @malloryshawdesign. Check back the rest of the week for more giveaways each day! I was the lucky winner of this candle last year! :) I love it so much. Congrats on the 2nd anniversary! Keep up the great work. 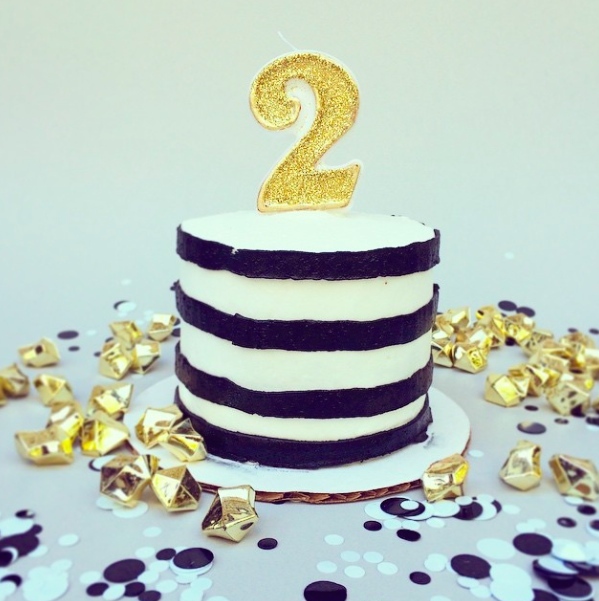 Happy 2nd blogaversary! I always enjoy reading your blog and following along!